Located in Dutchess County, New York, the 10-acre property is an architectural assemblage composed of Marcel Breuer's Wolfson Trailer House and a separate artist's studio. 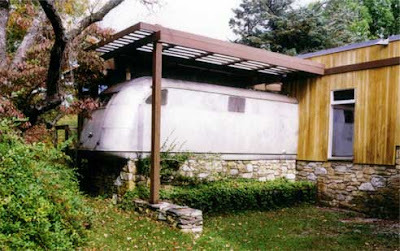 Commissioned and constructed from 1949-1951, the Breuer house surrounds a 1948 Royal Mansion Spartan Trailer. Accenting the Wolfson house is a 1960 artist's studio by Tip Dorsel, commissioned by the original owner and designed in dialogue with the Breuer structure. Sited among vast acreage of natural landscape, the accumulative and varied structures create an unparalleled composition of architecture and space. As my architectural tastes change over the years, I realize that the quality of huge open spaces and austere mid-century modern furniture does not fit how I feel comfortable living my life. I still love that stuff, from a museum, somebody-else's-house perspective, but I am more comfortable in smaller, purposeful rooms that create intimate spaces for specific activities. I like rooms that feel as if they have been lived in. Worn by hands and a little threadbare. 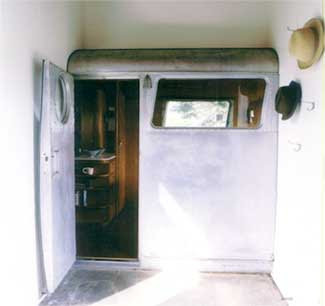 Breuer's assemblage of disparate architectural styles, including the lowly aluminum skinned trailer, successfully creates a modern environment that feels completely warm and organic. 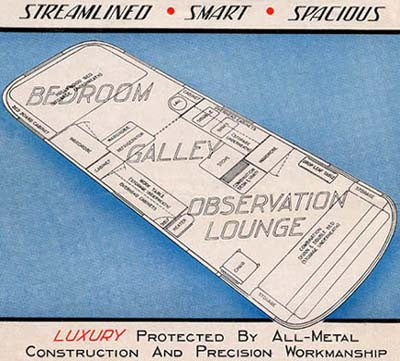 A space that evolved with the occupants. 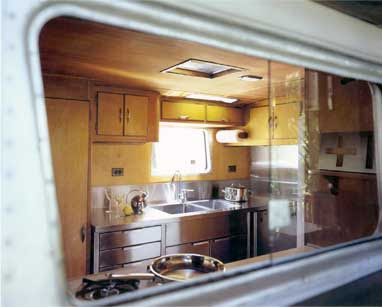 Not familiar with the Spartan trailers? Not familiar with Marcel Breuer? Or, alternatively, just Google Marcel Breuer.